In Charlotte’s Web, E.B. White created beloved characters out of the most unlikely of animals—a runt of a pig named Wilbur and a spider named Charlotte, who weaves words in her web to save his life. This poignant tale about life and death on a farm is still one of the best selling children’s books of all time. 1. THE FARM IN THE BOOK WAS REAL. “This is a story of the barn,” E.B. White said. “I wrote it for children, and to amuse myself." Along with being an essayist and co-author of The Elements of Style, White owned a farm in Maine. While he wrote Charlotte’s Web in the property's boathouse, he was imagining the farm's red barn, where he kept geese, sheep, and pigs. The barn even had a swing like the one described in the story: “Mr. Zuckerman had the best swing in the county. It was a single long piece of heavy rope tied to the beam over the north doorway." 2. A SICKLY PIG INSPIRED WILBUR. 3. CHARLOTTE WAS BASED ON A REAL SPIDER. One day, White noticed a spider in his barn making an egg sack. He was so interested, he got a stepladder to take a closer look. After that, he never saw the spider again. When he was getting ready to go to New York City for the winter, he decided to take the egg sack with him. He cut it down with a razor blade and put it in a candy box with holes punched in the top. Then he left the box on top of his bureau in his New York bedroom. Soon enough, the egg sack hatched and baby spiders emerged from the box. 4. CHARLOTTE'S NAME IS BASED ON SCIENCE. 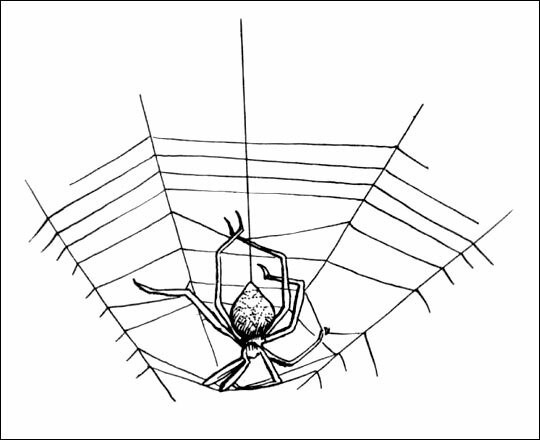 When White started writing the story, he called the spider Charlotte Epeira because he misidentified the spider in his barn as a gray cross spider, Epeira sclopetaria. Then he contacted an expert at the American Museum of Natural History and was able to correctly identify the spider as Araneus cavaticus—the common barn spider. Thus, his spider was renamed Charlotte A. Cavatica. 5. FERN WASN'T ADDED UNTIL THE LAST DRAFT OF THE BOOK. “'Where’s Papa going with that axe?’ said Fern.” This first line of Charlotte’s Web feels so perfect that’s hard to believe that Fern was almost not in the book. At first, White struggled with how to start the story, unsure whether to begin with Wilbur or Charlotte. Then at the last minute, he added Fern, the little girl who pleads with her father not to kill the runt piglet named Wilbur. Although she fades from the story as she matures, Fern adds layers of humanity that connects directly to the young reader. 6. WHITE'S EDITOR HAD NO IDEA HE WAS WRITING THE BOOK. After the success of Stuart Little in 1945, White’s editor Ursula Nordstrom didn’t expect him to be writing another book until he showed up suddenly in her office with Charlotte’s Web. She was shocked and asked if the manuscript was a carbon copy. "No," he said, "this is the only copy; I didn't make a carbon copy." Then he got on the elevator and left. Not wanting to risk losing the only manuscript of the book, Nordstrom sat down and read it right there. “I couldn't believe that it was so good!” she wrote. The book was published in 1952 and was a huge success, selling 100,000 copies in 16 months. 7. THE ILLUSTRATOR WANTED TO GIVE CHARLOTTE A WOMAN'S FACE. Garth Williams, who also illustrated Stuart Little and the Little House on the Prairie series, wasn’t sure how to draw Charlotte at first. He wanted her to look friendly and charming, two words most people wouldn’t associate with spiders. He tried drawing her with a woman’s face and even went so far as to make her look like the Mona Lisa (you can see some of those sketches here). Both White and Nordstrom nixed the idea. Finally, they settled on drawing an anatomically correct spider with two little pinpoints for eyes. 8. PEOPLE CRITICIZED CHARLOTTE'S WEB FOR DEPICTING DEATH. 9. HOLLYWOOD WANTED TO CUT CHARLOTTE'S DEATH FROM THE CARTOON. White resisted Hollywood at first, nervous about what a studio would do to his book. Finally, in 1973, Hanna-Barbera made a cartoon of Charlotte’s Web with Debbie Reynolds as the voice of Charlotte. Predictably, Hollywood tried to get a happier ending for the story, worried about a kids' film where one of the main characters dies. But White held firm that Charlotte’s death was essential to the story and in the end, he won. The cartoon remains faithful to the book. 10. 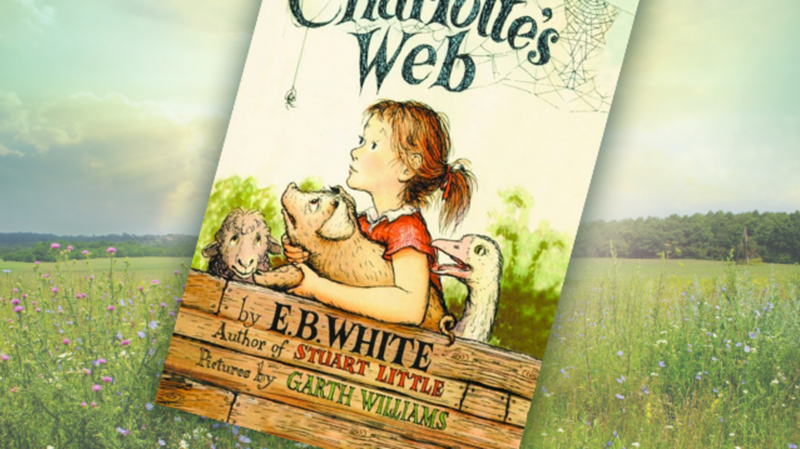 WHITE RECORDED THE AUDIO BOOK OF CHARLOTTE'S WEB IN 1970. Even though it had been almost 20 years since he wrote the book, Charlotte’s death still made him emotional. "Every time, he broke down when he got to Charlotte's death," Michael Sims, author of The Story of Charlotte's Web: E.B. White's Eccentric Life in Nature and the Birth of an American Classic, told NPR. "And he would do it, and it would mess up. ... He took 17 takes to get through Charlotte's death without his voice cracking or beginning to cry." You can listen to him reading the book above—but keep a tissue handy, just in case.